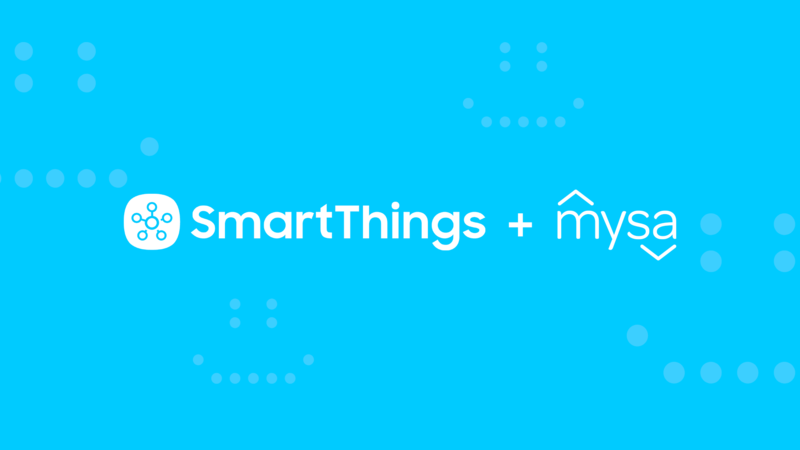 Home > Mysa Minutes > Introducing: Samsung SmartThings! SmartThings has become one of the most common smart home systems in the world. Mysa has taken the electric thermostat market by storm. That leads to only one logical solution – which is why we’re supremely happy to announce that, as of our latest firmware update, Mysa has officially become compatible with Samsung’s hugely popular platform! This is an integration we’ve been working on for quite a while. Both existing and future customers will be glad to hear that we’ve finally made it happen. But some of you may be wondering – I’ve heard of all these smart things – but what is SmartThings? SmartThings is a platform made and managed by a company you’ve probably heard of – Samsung. It works through a centralized app (and sometimes a hub) for all your smart home automation needs, specifically tailored to Samsung’s own products. Whether it’s Samsung’s TVs, appliances, or other home devices, SmartThings is becoming a standard add-on that helps keep everything under one roof. Now, Mysa is one of those non-Samsung products that can be controlled directly through the SmartThings app, opening up even more technological and automation opportunities. No hub required – Mysa uses cloud-to-cloud integration over a WiFi connection. From other smart thermostats, to smart locks, to cameras, there’s a whole world full of SmartThings to explore – and not just Samsung products. Samsung user or not, it’s time to let Mysa be your smart introduction to SmartThings! That’s Awesome. What are the plans for integration with homeassistant? As of right now, we do not plan to integrate with Home Assistant. When do you expect to have Mysa fully integrated as a Thermostat, rather than a “compatible device”? Thanks. It’s in process right now, but I can’t give you a solid timeline because it’s out of our hands at this point. What about plans to integrate with SmartThings Classic?? No plans. It’s not possible to gain new certification for the classic app, as it is being phased out. Hi, Are you planning to allow Smartthings (or IFTT) to respond to Mysa changes or read Mysa values? I need to run a fan whenever the thermostat is on (or whenever the temperature is below the setpoint), This can’t be an unusual requirement. It’s definitely part an update that will roll out this year at some point. Our team is currently hard at work on some other things, but it’s high on the list.